I love to bake. I’m known for my baking skills. But when it comes to cooking an actual meal, where I’ve had to touch raw meat to make it, I’m not that great. I get slightly freaked out by the look of raw meat – why is it pink and slimy? However, I’m slowly but surely overcoming this flaw with easy-to-make recipes from my mom, Gammy and Pinterest (of course). To me, cooking should be fun and simple. I shouldn’t have to run to the store a billion times trying to grab ingredients or take years to make it. 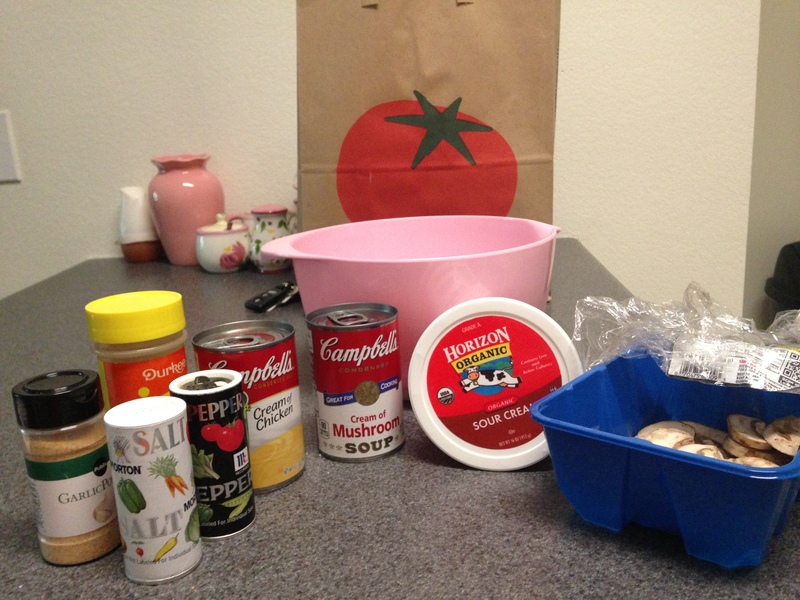 I like recipes that have 5 steps and a handful of ingredients. It’s easier for me to not burn the apartment down this way. I found this recipe from the Sweet Little Bluebird site. It was so easy and delicious that I had to share it. I also like recipes that aren’t going to break the bank, and this meal probably comes out to around $3 per person. All I needed was some raw chicken breasts, soup, sour cream and some spices. The exact amount and ingredients can be found here. The first step is to spray the casserole dish with non-stick spray. 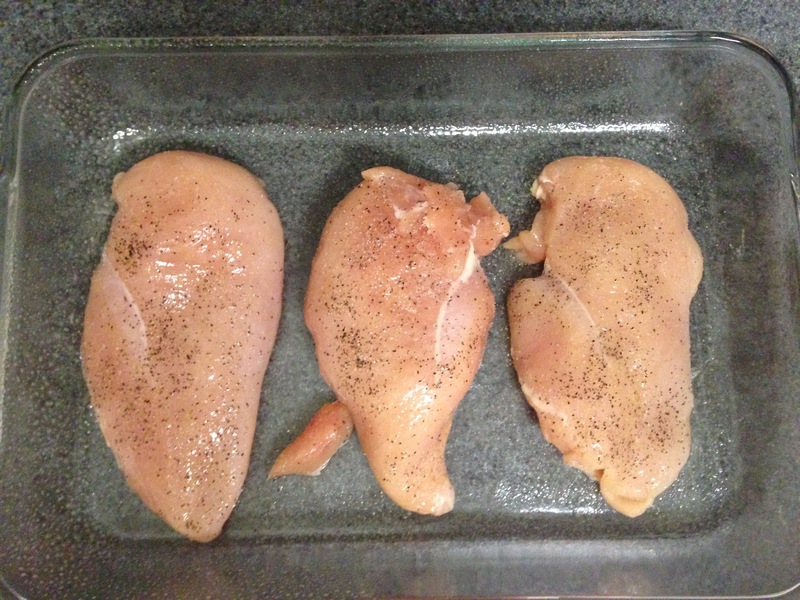 Then touch the gross raw chicken breast and season on both sides with salt and pepper. 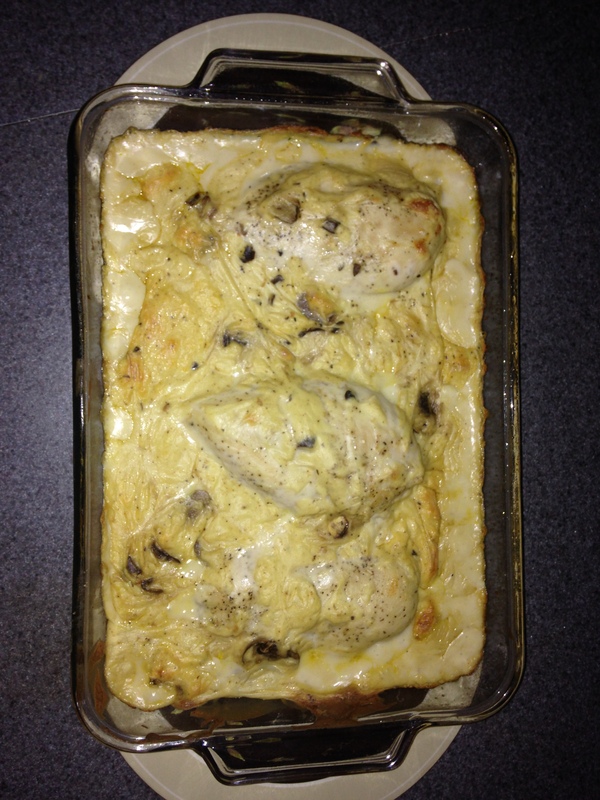 In a bowl, mix together cream of mushroom soup and cream of chicken soup with 1 cup of sour cream. 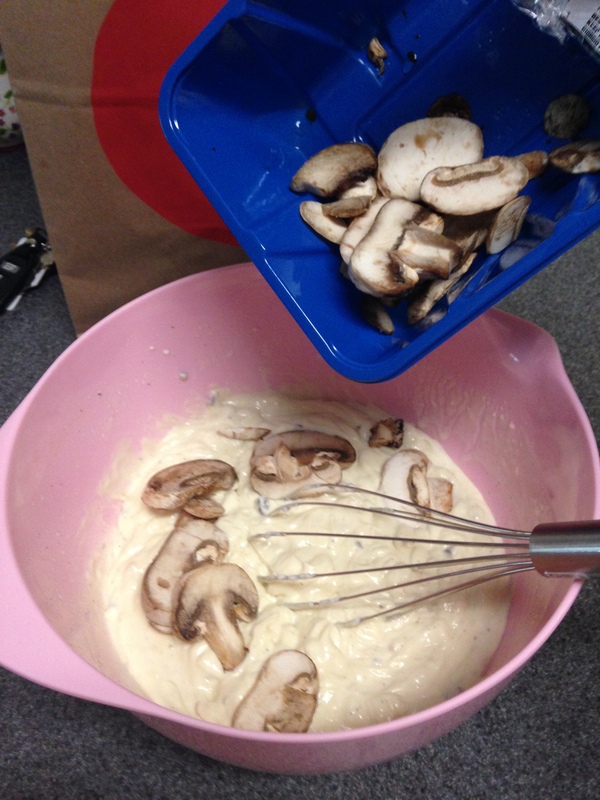 Add some water, garlic powder, paprika and fresh mushroom slices (handful). Once everything is added together, give it a big stir. 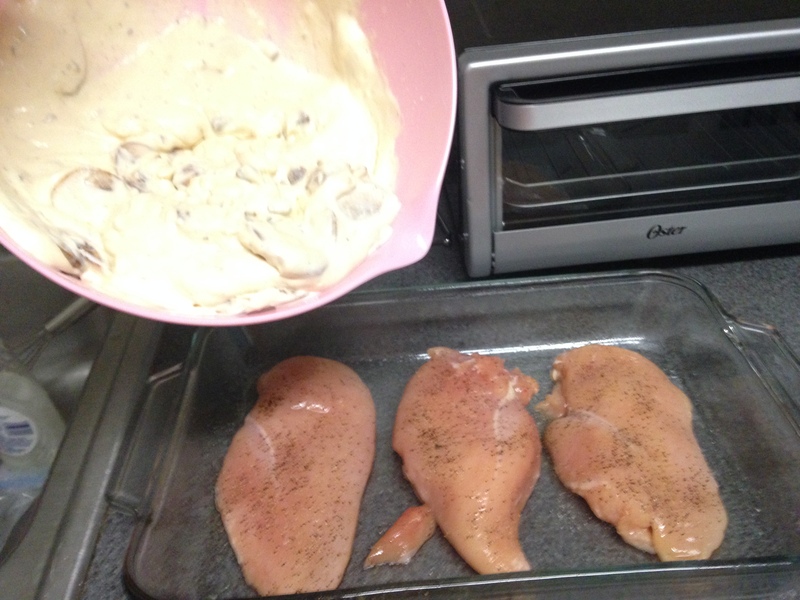 Pour it over top the chicken breasts and smooth out the mixture. Bake at 350 degrees for 1 hour. During that hour long wait I made some rice, cooked green beans and made a quick salad. When it first came out of the oven, I wasn’t sure what to make of it. The dish just looked like a golden, brown glob. My expectations were pretty low, but then Kev tried it and said it was delicious. So getting his stamp of approval is kind of a big deal. Enjoy!